Whether you’re sick, need a physical, or have a chronic disease that requires medical care, you’re welcome at the walk-in clinic at Hope Internal Medicine & Sleep Clinic. You’ll receive expert care from Nader Ewaida, MD, who has extensive experience in treating the spectrum of health conditions and urgent care that adults require. To get top-quality treatment, come to the walk-in clinic in North Richland Hills, Texas or call if you have any questions about your health. Dr. Ewaida offers a walk-in clinic so that everyone in the community can get the medical care they need as promptly as possible. You simply walk in and tell the receptionist what you need. At the walk-in clinic, you’ll receive high-quality care and the best treatment from our experienced team. What services are available at the walk-in clinic? Dr. Ewaida specializes in internal medicine and serves as a primary care physician. 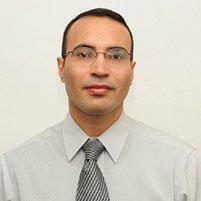 He has extensive experience in diagnosing and treating the full scope of health conditions found in adults. When you come to the walk-in clinic at Hope Internal Medicine & Sleep Clinic, you have access to all the services provided by Dr. Ewaida. What conditions are commonly treated at the walk-in clinic? The team at Hope Internal Medicine & Sleep Clinic also treats flare-ups of chronic health problems such as arthritis and psoriasis. When you’re sick, need a physical, or have other health care needs, you’re welcome at the walk-in clinic at Hope Internal Medicine & Sleep Clinic.